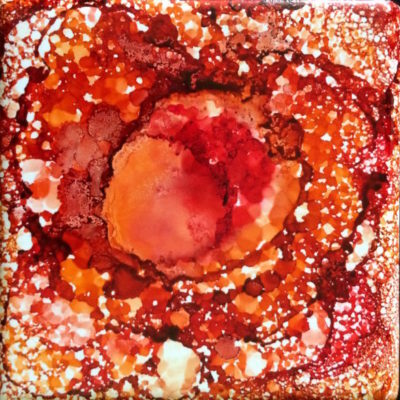 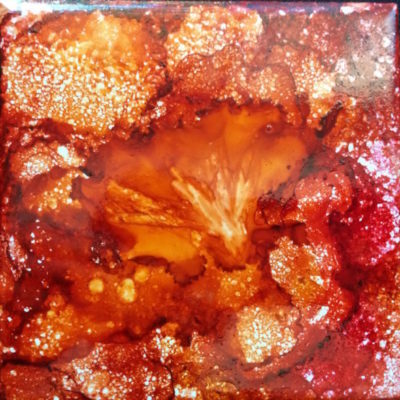 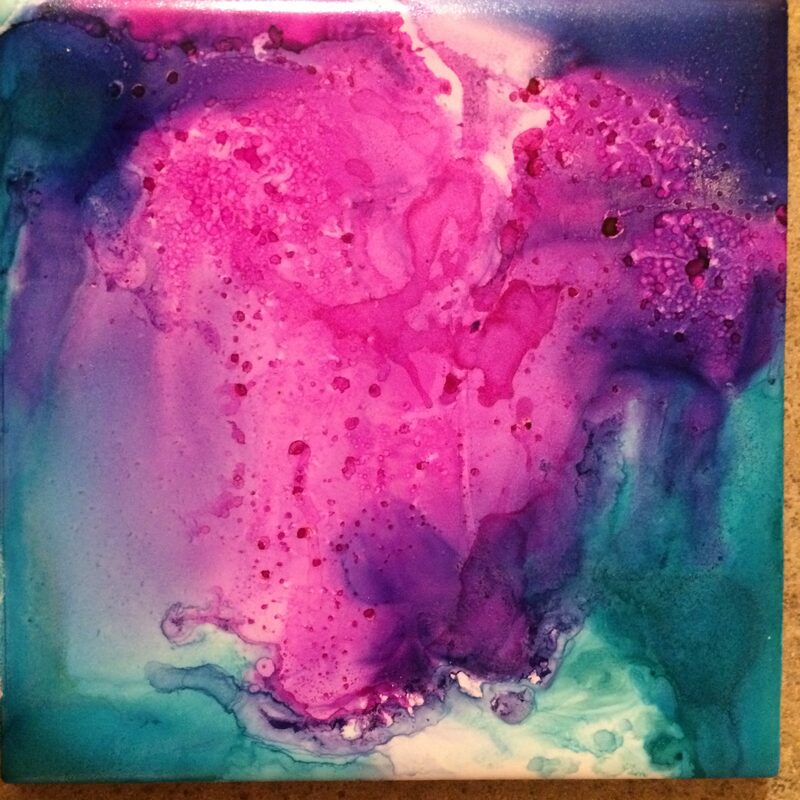 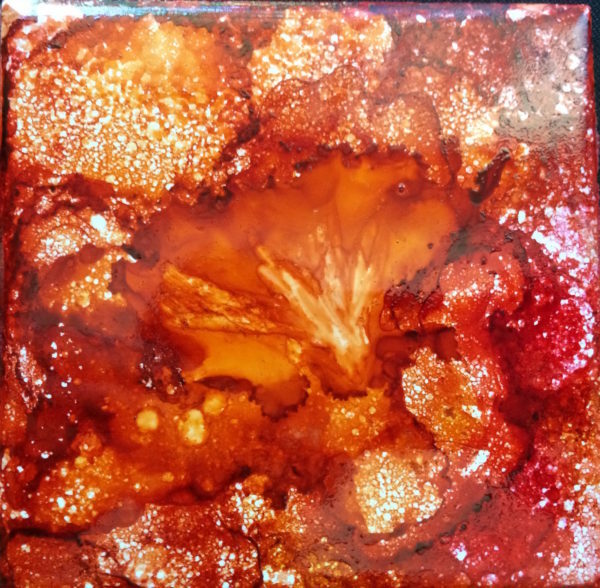 4″ x 4″ ceramic tile, original alcohol ink painting. 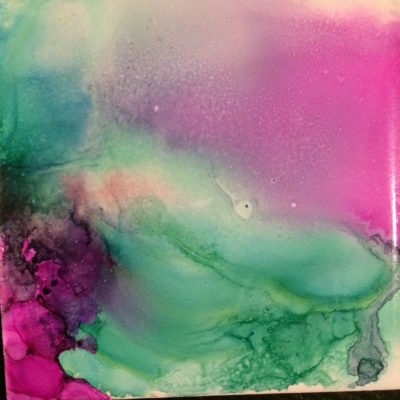 Treated with heat resistant spray to be used for coaster or can be displayed on mini easel for tabletop art. 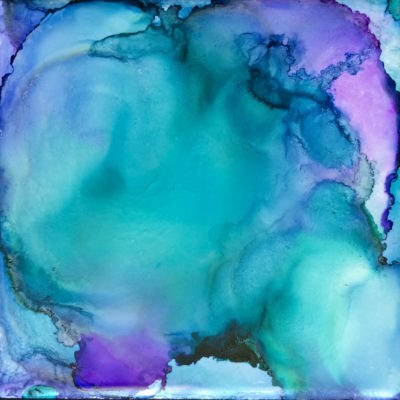 Wipe clean with damp cloth; do not submerge.